Last week I wrote a blog about the emerging and real examples of successful western beverage brands moving into the Indonesian market. I presented only a couple of examples, however it is a clear demonstration of the success that is present in the market. This success, is equally and in many cases more so evident in the food and agricultural sectors. I have written a lot of the disaster that has confronted the northern Australian agricultural industry and associated complimentary industries due to the arbitrary banning of Live Cattle exports to Indonesia in mid 2011. Despite the damaging effect this federal government decision has had on the Australian Agricultural sector, there are still plenty of positive news stories. As I forecast in earlier articles, the Indonesian government initially lowered the quantity of import permits for Live cattle. This can be seen through the lens of a reactive response to the Australian government action, however it is not sustainable, and as such in recent weeks there has been a doubling of the import permits granted. Despite these increases, there is still negative press about the Indonesian Government’s reticence to increase permits to similar levels of pre-ban imports. The Indonesian Government, perhaps with justification, is insisting and encouraging Australian investment in the Indonesian farming and agricultural sector. And it is companies who have made this investment that are in the best position to maintain solid market share moving into the future. The Australian Agricultural Company, recently announced their yearly profit had increased despite the cattle ban, and despite the ban costing them between $5-8million in profits. 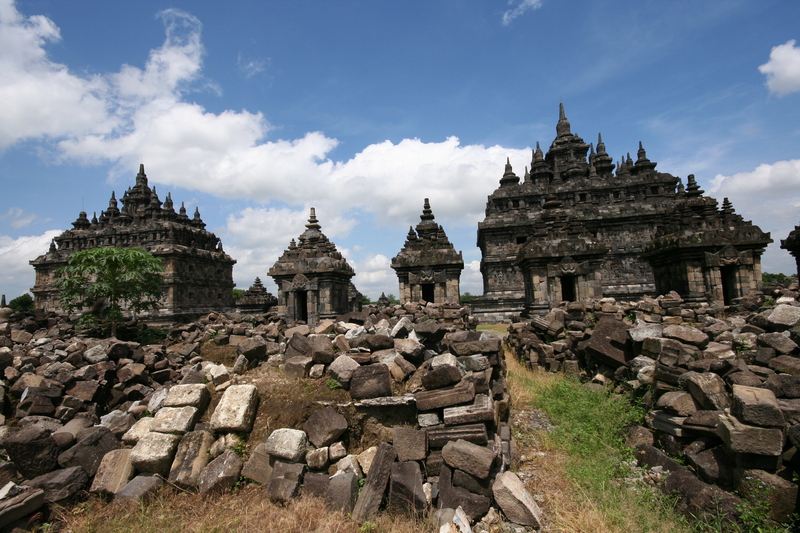 It is interesting to note that they have however not abandoned the Indonesian cattle market….it is just too large to ignore. Another example include Elders, which have been able to manage the supply chain throughout the Live cattle chain, with large farming investments in northern Australia, which can raise the cattle from young to the import permit weight threshold of 350kg’s, then move them into Elders feedlots in Indonesia for six-nine months where individual cattle will increase in weight towards 500-700kg’s. Elders are then in a position to manage the slaughtering process (it always feels a bit strange using this technical term “slaughter” however that is what occurs in an abattoir). The Elders abattoirs use world best practice, and are regarded as one of the best facilities in the region. Consequently Elders have been able to make large investments in the Indonesian food market and make a success of the venture. They are in the same position as AACo in not pulling out of the Indonesian market…it is too lucrative. The key to remember here is that their investments in the supply chain are vertical and as such they have made investments in Indonesia, and are not solely exporting. San Remo Pasta provides a great example of an Australian (South Australian) company that has made a great success of the food industry in Indonesia. 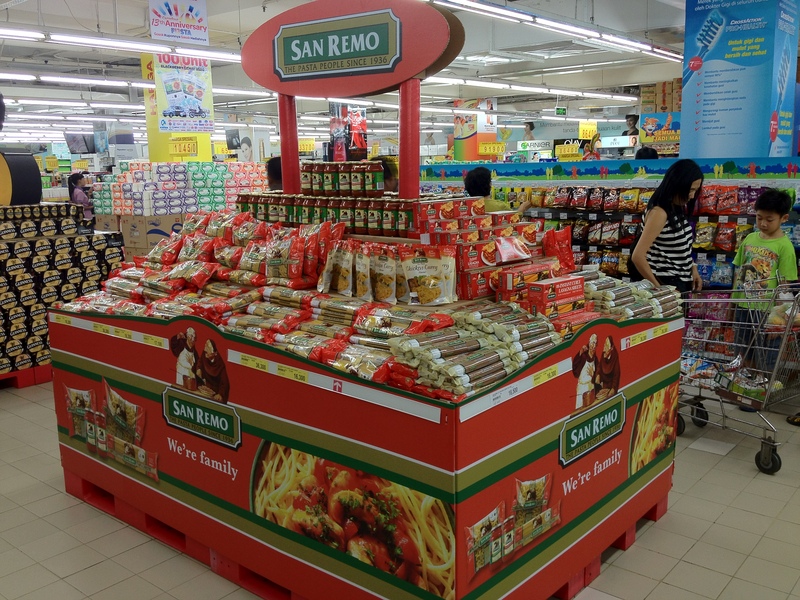 Indonesian Hyper, Super, and mini markets in Indonesia stock San Remo pasta. It is clearly one of the market leading pasta brands in Indonesia. They have great penetration, which in large respects is related to their choosing the right Indonesian partner, and investing appropriately in their marketing promotion strategy. San Remo provide an example of the packaged food products that can succeed in the Indonesian market with a little persistence and taking a calculated risk. The past two blogs I have produced have clearly demonstrated only a few of the good news stories that are evident in the large Indonesian food market. This is a large market that is growing on a daily basis. Indonesia is a country of enormous potential and it is important for Australian food, agricultural and beverage producers to acknowledge, understand, and realise this great opportunity.